Lightroom 3: Save $150 with Adobe One Day Sale – or Half Price! Adobe is continuing its “Deal of the Day” program and the next big deal is a healthy $150 (or 50%!) off one of their best selling products, Lightroom 3… Version 3.5 was just released on September 28th, and this brief special means you can now get it for just $149 instead of the regular price of $299. The $150 instant discount is valid for full versions of Lightroom (not upgrades, which cost $99), and no coupon or promotion code is necessary. The offer is available only on purchases made directly from Adobe by retail customers in North America on Tuesday, October 11th, 2011 by 11:59pm PDT. The discount will be reflected in the shopping cart just prior to checkout. Pricing is available only through the Adobe Store. Education, OEM, and licensing customers are not eligible. Meanwhile, students and teachers worldwide can continue to benefit from deeply-discounted educational pricing to buy Lightroom 3 for just $89, or over 70% off the regular price. So if you’ve been thinking about making the jump to this well-regarded product, here is a terrific entry! If you prefer to try before you buy, you can immediately download the fully-functional free trial, and then just convert it before midnight with the special link. This savings are not available anywhere else and is the best deal with the lowest price Adobe has ever offered on an external promotion for Lightroom! Don’t miss out on this great oppor­tunity before it expires. To hear about future Adobe promotions, follow us on Facebook or Twitter, or subscribe to our RSS feed… You can also enter your email and have new articles sent directly to your inbox. I’ve retired from an active photographic career specializing in photography for advertising and am now faced with what has become a very boring life. I have decided to revitalize my life and get back into photography again and pursue it as a hobby and embrace the new technology tools that I had been to busy at work to take the time to learn (i.e. Apple and Adobe products). I had bought Adobe Photoshop CS2 but just didn’t have the time to learn how to use the product and instead had the luxury of an assistant to do my processing. I was an IBM PC user and used Photoshop CS2 … having heard all the rave reviews from my compatriots, I have recently purchased an Apple MacBook Pro and Photoshop CS5 upgrade (within the last 2 weeks) and of course a ton of peripherals. I then discovered that I needed a program to more easily facilitate importing and of pre-editing and managing my tons of slides. I was prompted by the sales person to also purchase Lightroom 3 at the time, but my resources prohibited my considering it after the sizable investment I had already made in equipment and software. And I was told that I was not eligible for the special CS5 and Lightroom 3 upgrade bundle since I didn’t have a prior version of Lightroom. Now here is my current dilemma … I have seen the 1-day special you had within the last month (October 11th) and I missed out on that … by less than a week ! I’m told that considering Lightroom 4 should be hitting the market within the next 3 months most likely and that means this will keep me from getting involved properly in my Adobe learning process. I would greatly appreciate it if I would be given special consideration because of the foregoing circumstances by extending me a special price on the missing parcel of my Adobe arsenal. Hi Alan, thank you for your thoughtful message. That’s unfortunate that you just missed their Lightroom one-day sale, and also that you received erroneous information about the CS5 + Lightroom bundle discount… In fact, any purchase of Photoshop (whether upgrade or full) qualifies you to take 30% off of Lightroom when you purchase them at the same time. Yes, it’s true. One other point to add: Adobe Lightroom 4 probably won’t be out for a good while yet. So, your best bet if you want to buy Lightroom 3 at a discount is to either: (1) contact Adobe on the misinformation about the bundle deal, and request the 30% off LR3 that you were entitled to, or (2) enroll for an interesting course of your choice at your local community college so you could qualify to buy the LR3 Student Edition at 70% off, which might be a double-win. Hope these ideas help you find a good answer, and enjoy your retirement! Thanks for the good news !! As I now understand your most recent offer … Since I purchased the CS5 Photoshop upgrade just recently and was not offered the Lightroom 3 program, I am now eligible to purchase the Lightroom 3 at a discount of 30% and an additional 15% off. Please confirm this for me and what the final bottom line price will be. And how do I go about ordering my new Lightroom 3 purchase? Do I order it directly from you or will you let me know who to call? Well, not completely true – we also were able to offer you that spare 15%-off coupon we had available, but that may only be usable for online purchases. Anyway, good luck to you Alan! Please let us know how it works out. PS – There just so happens to be another half-price LR3 “One Day Deal” going on today – but it is in Europe only! Sorry about that. I don’t want to get into a tug of war with the people at Adobe over what to them might seem like a small issue. And now I see that Adobe is offering 1/2 price ($150.00) on another one day special on Lightroom 3 !! But this special is for European customers only !!! It’s looking like the cards are all stacked against me. Ok, I don’t feel that I’m being unreasonable in asking for a competitive price of $150. for Lightroom 3 when I see that it’s been going for just that this month alone … first, here for one day in the USA and now Europe. I really don’t want to go elsewhere for a competitive program that is being offered for $79 … and I know that the reviews I’ve read the general opinion is that LR3 is a superior product, and that’s exactly why I’m willing to spend twice as much for yours. Plus I do feel that there’s the advantage of working with both of the programs from the same family! I missed out by just days on the first 24 hr offer and now again I miss out on the next one. I’m sure you can see the way I feel … this is certainly not a nice way to treat a well intentioned customer. I’m sure that by now, after going back and forth over this issue, you would agree that my request is a fair one considering all the circumstances that we both know. Please help me get what is a fair deal for me and Adobe. I hope you you can resolve this issue for me and give me a proper welcome to the Adobe product family. As for the price, we’re not Adobe, and we don’t sell software ourselves – so there’s nothing more we can do about it, unfortunately. If it were up us, we’d give it to you – but you have to contact Adobe Customer Service and work it out with them. Best of luck! I’m happy to tell you that it’s finally been resolved ! I’ve found a seller and we reached a satisfactory price. Thank you for all your efforts … sorry we couldn’t reach making a deal. But, I do appreciate you help and interest. Sure Alan, glad to help – but just be extremely careful if you’re trying to buy the software from someplace like Craigslist or an auction site like eBay (which is what it sounds like) – that is highly risky! The only place you can be sure what you’re getting is genuine and safe is direct from Adobe or from a well-known retailer (who don’t negotiate). 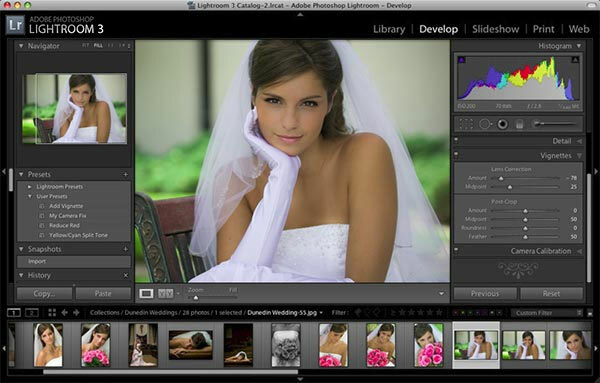 One Day Deal: Save 0 on Adobe Lightroom 3 Today - Half Price!